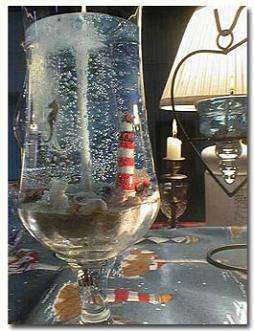 Lighthouse gel candle - Estimated burn time 80 hours. 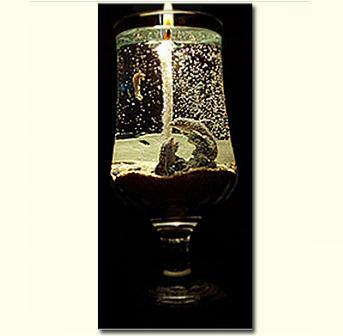 When lit in a dark room the entire candle glows and lights up all the nautical scenery in the bottom of the candle. Dolphin gel candles with a difference. 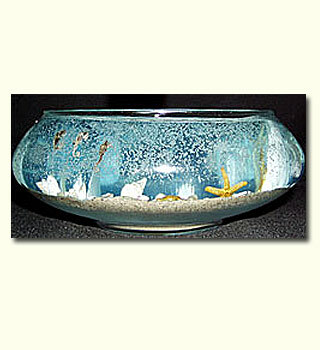 Not only a safe candle to burn, but also a collectible piece of nautical gel candle art. 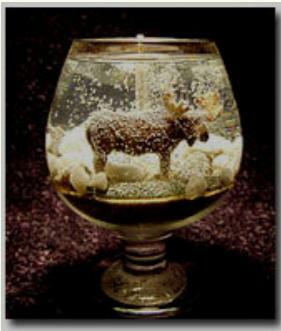 Gel candle art with a difference. It is likeviewing a tranquil scene frozen in time. High quality gel candles burn cleaner and longer than regular wax candles. Wildlife scenes also available with moose, bear, deer, eagle, and wolf. Estimated burn time 60 hours and when lit in a dark room looks as though they are in a snow storm. It's time to take a break from the ordinary!